Do you have a big interview coming up and nothing to wear? Are you attending the Career Fair and need a tie or professional pair of pants? 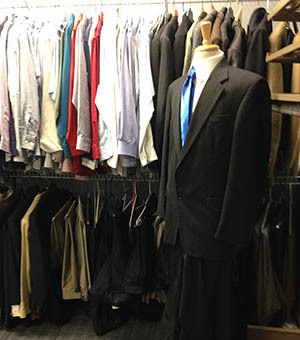 Stop in to the Career Center and browse the Clothing Closet! The clothing has been donated by ISU faculty and staff as well as Terre Haute community members to assist students in need of professional clothing. We want you to go into an interview looking and feeling confident. Professional clothing is a good place to start! When you look great, you feel great! You may select up to 4 items per month. Clothing Closet hours are Monday-Friday from 10:00 a.m.- 12:00 p.m. and 1:00 p.m.- 3:00 p.m. The Career Center is accepting clothing donations for our Clothing Closet. Indiana State University students in need of professional attire are invited to the Career Center and select 4 items of donated clothing to keep. You may drop off your gently used and cleaned professional/interview attire at the Career Center Monday through Friday, 8:00 am to 4:30 pm. 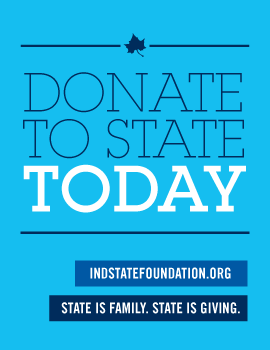 We will also provide you with a donation form for tax purposes if you are interested in claiming your donations. We are seeking dress shirts, ties, suits, suit jackets, skirts, dresses, belts, dress shoes, etc. If you have any questions, please contact Alex Allen, Career Center Events Coordinator.